The Stereoloaders® range encompasses the L506, L507, L508, L509, L510 and L514, all with articulated tipping loads ranging from 3 to 6-tonnes. With a longer wheelbase, unique four-wheel steering system and combination of centre-pivot steering and rear axle steering, they have small turning circles, improved lateral stability and off-road handling. Their compact articulation angle of 30 degrees enables them to move heavy payloads. The range offers bucket capacities from 0.5m3 to 2.5m3 and can be configured with parallel linkage and quick couplers for multi tasking. The L524, L528, L538 and L542 mid-sized loaders are termed "2plus1" as they have two travel motors and one pump and range in operating weight from 10 to 13-tonnes. The large wheel loaders L550, L556, L566, L576, L580 and L586 range from 16 to 31-tonnes and are termed the "2plus2" range with two motors and two gear boxes. The hydrostatic driveline is the driving force behind the low fuel usage and has the additional benefits of low tyre and brake wear. The hydrostatic driveline also eliminates the requirement for a traditional torque convertor transmission assembly. The engines are installed sideways in the smaller machines and length ways in the larger units, with the displacement pumps at the rear of the machine. This shifts the centre of gravity behind the rear axle to increase the counterweight effect, allowing higher tipping loads at lower operating weights and increased machine stability. 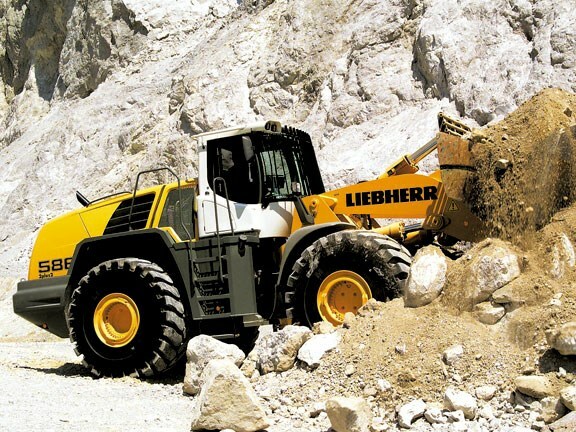 The cabins in Liebherr wheel loaders include maximum visibility, low noise emissions and single leaver control as standard. Servicing is also made easier by the positioning of major components accessible from ground level. 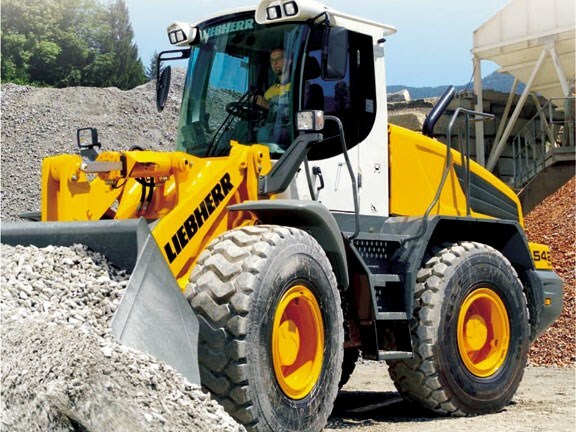 Tim Callaghan, Liebherr New Zealand, says that the Liebherr wheel loader range offers the lowest operating cost per tonne. 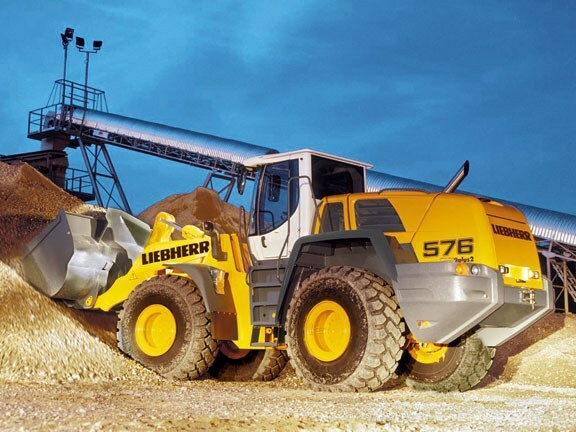 "Because of their unique low centre of gravity, due to engine placement, Liebherr wheel loaders enjoy a higher static tipping load than their competitors for similar weight machines. Hydraulic breaking action has all but eliminated brake wear which has a significant maintenance cost advantage when operating on inclined surfaces. "In addition the operator can maintain a consistent rev range with the '2plus2' drive system. This allows the operator to select the tractive force for better penetration in to the stock pile without changing gears and minimising tyre wear through slippage," he says. "The combination of safety, comfort and economy, offers an undeniably attractive wheel loader package for today's cost conscious client. We have stock available for immediate delivery with some current pricing specials. Take the time to talk to us today and get a clear understanding of how Liebherr can add value to your business"
For more information please contact Liebherr New Zealand, ph 09 579 4999, 0800 LIEBHERR (0800 5432 4377) or visit www.liebherr.com. 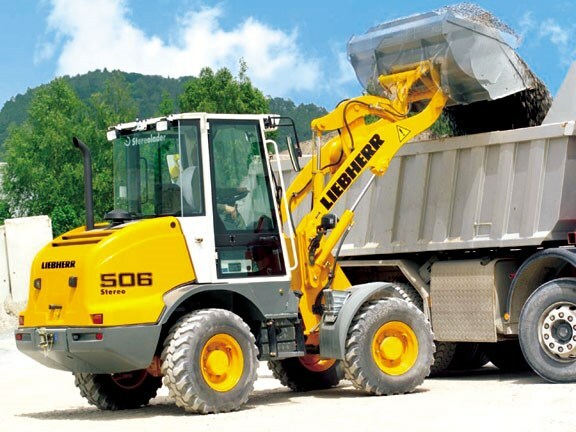 See a range of Liebherr machinery for sale here.